List of Play'n GO casinos with honest review including reputability check of every Play'n GO online casino listed. Swedish online gaming software developer Play'n Go was founded in 1997, developing a series of online casino games that were distributed to operators primarily focused on the European market. In 2010, the company merged with another software provider - Jadestone. Jadestone, the developer of the popular Casino Matrix platform, has brought a more innovative touch to all Play'n GO casinos. Players also now have more game variety when playing at a casino powered by Play'n GO software, thanks to this collaboration. The company is licensed across Europe, including by Italy’s AAMS, Alderney, Malta, the UK, Denmark and even the Philippines. Its offices are located in Sweden, Malta, Hungary and the Philippines. In 2015, Play’n GO was awarded the Mobile Product of the Year award by IGA. This online casino software provider’s games are accessible in Flash or HTML5, and come in 30 languages as standard. As a result, players don’t have to worry about any downloads to enjoy Play’n GO’s games on the move. Its games also support full HD, and are dynamically scalable, which also makes them look sharp and visually appealing across different devices. Play’n GO is also a part of the Independent Betting Adjudication Service, or IBAS, and operates a NMi-tested random number generator (RNG). Play’n GO develops games that can be played via browser on various mobile platforms such as iOS, Android, Blackberry OS and Windows Phone, so almost every player with a mobile device can play their games on the move. Its entire games collection consists of over 100 titles. The theoretical return to player (RTP) largely depends on the game. Some games like the 5-line Mystery Joker have 96.98%, while others like the 15-line and Norse-themed Dragon Ship claim “only“ 94%. The company also offers table games to its players . They all have very good graphics and sound effects. European Roulette, Single Deck Blackjack, Mini Baccarat, Casino Hold’em and Casino Stud Poker are included. Video poker and scratch cards can also be played in Play’n GO casinos in demo mode, without the need for registration . You can also try plenty of their games without registration through their official website. Their software offers casinos a complete suite of products, including the back-end cashier. Play'n GO casinos are also quite adaptable in the types of promotions they offer. The casinos focus mainly on loyalty and offer a chance to collect loyalty points in different programs. The most common bonuses take the form of matched percentages on deposits, free spins, or no deposit bonuses. 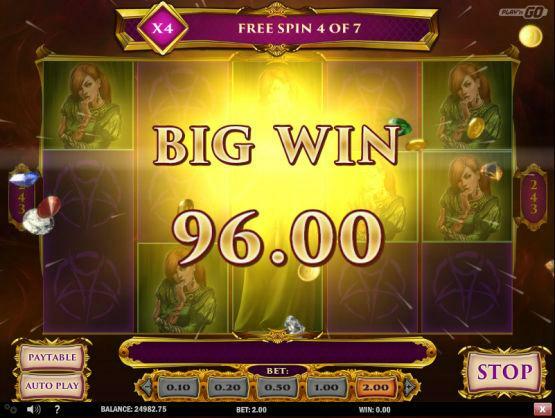 The company also offers several slots that have a progressive jackpot available, including Gunslinger and Fruit Bonanza. You won’t find any Play’n GO powered exclusive casinos online or mobile out there, as they are usually mixed in with other games providers, as you can see in the popular Casino Luck or Leo Vegas. A complete list of Play’n GO supplied casinos can be found on this page. Play'n GO was one of the first companies to move into the mobile arena. Because of that, you can play its exclusive video slots from the comfort of your home and on the move. Alderney 19 Isle of Man 1 Malta 270 Gibraltar 31 Jersey 0 Kahnawake 0 Panama 0 Curaçao 243 Unknown 0 Belize 1 Costa Rica 1 United Kingdom 197 Austria 0 Canada 0 Antigua and Barbuda 0 Belgium 1 Bosnia and Herzegovina 0 British Virgin Islands 1 Bulgaria 1 Cambodia 0 Comoros 0 Cyprus 0 Czech Republic 2 Denmark 20 Estonia 2 Georgia 2 Ghana 0 Greece 1 Hungary 1 Ireland 1 Italy 6 Kenya 0 Latvia 1 Lithuania 0 Mexico 0 Netherlands Antiles 3 Nigeria 0 Paraguay 0 Peru 0 Philippines 5 Portugal 0 Romania 1 Serbia 0 Slovakia 0 Spain 0 Sweden 132 Aland Islands 0 Schleswig Holstein 2 British Columbia 0 Cagayan Economic Zone 2 Delaware 0 Nevada 0 New Jersey 0 Ontario 0 How we rate Licensing Jurisdictions?